This one is a view looking up towards the top of Old Oswestry Hillfort – outlines and shapes and shadows sharpened slightly with sunlight. 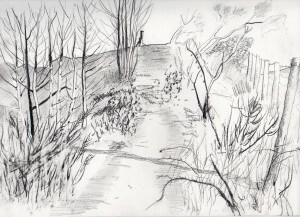 It is not my preferred view of a road, a journey, however there is a rough and grassy pathway. As the vegetation is very similar in tone at this time of the year, it was difficult to inject enough contrast, so I chose to show some contrast with the trees on the left. 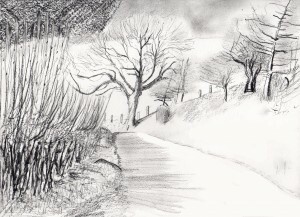 This is a view I’ve sketched before, on the way home from Oswestry. 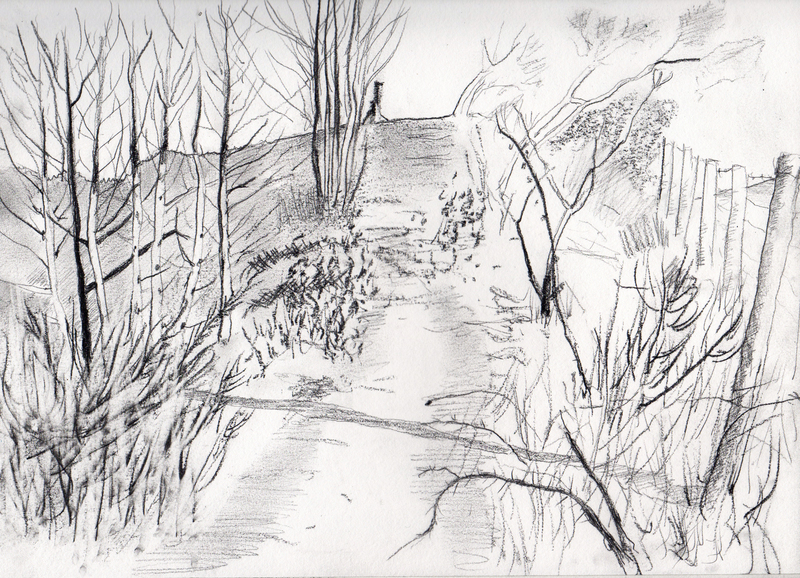 But the previous sketch was on a small square page, this one is A4 landscape. I do like this view very much.